In many ways, the world has a way of working things out for itself and I do love that about life, even though I might not say it enough. 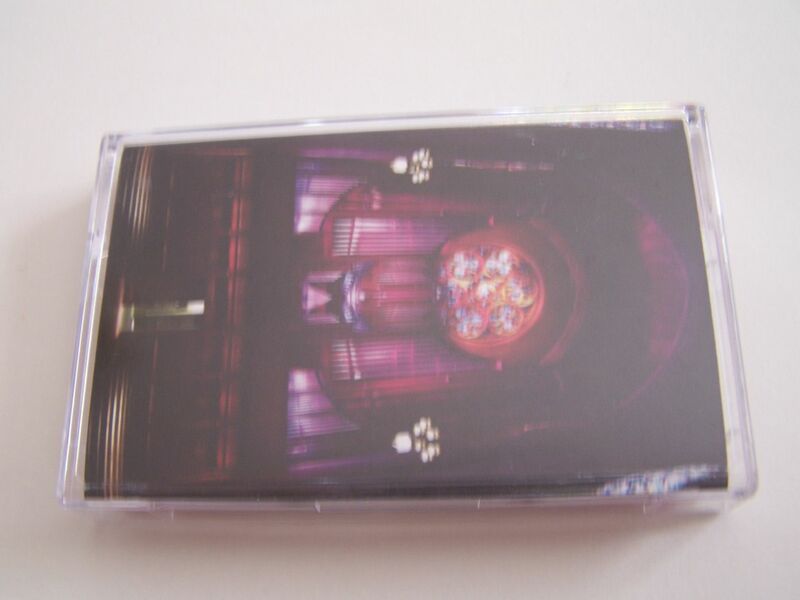 When I was looking up Yek Koo on Discogs, I found a Yek Koo/Zaimph cassette on this label called Obsolete Units and I'd never heard of it before. 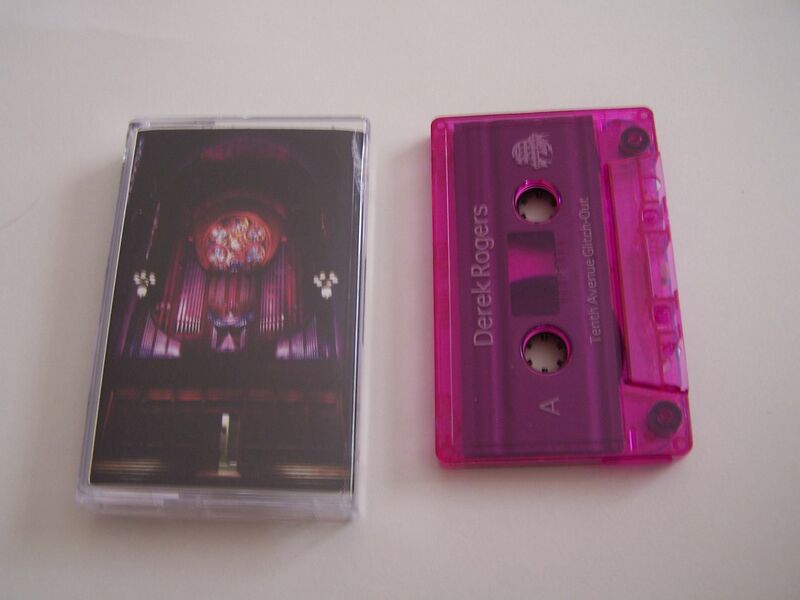 Then, seemingly weeks later, I see news from Derek Rogers about having a new split cassette on Obsolete Units. 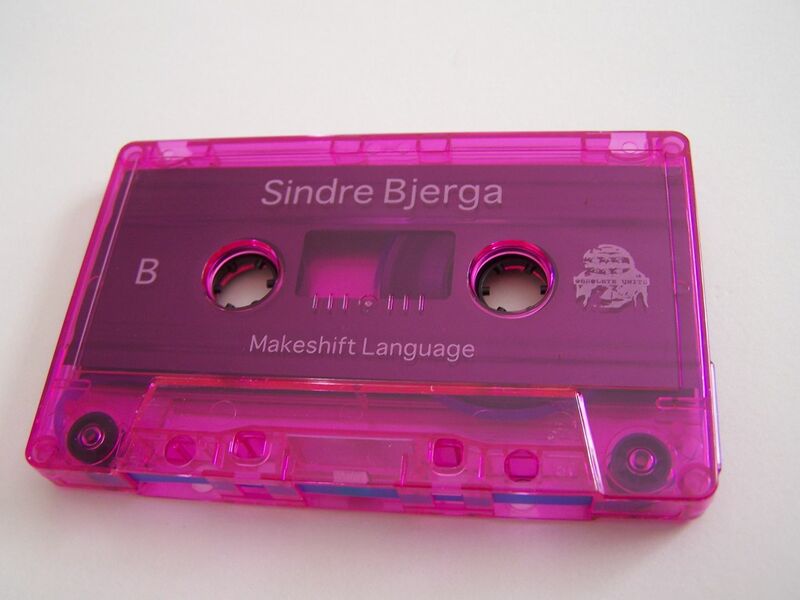 I recognized the name and then when I saw the split would be with Sindre Bjerga I damn near fell out of my chair. Oh, how I do enjoy the music of both of these men this is a virtual super-hero team up for me. 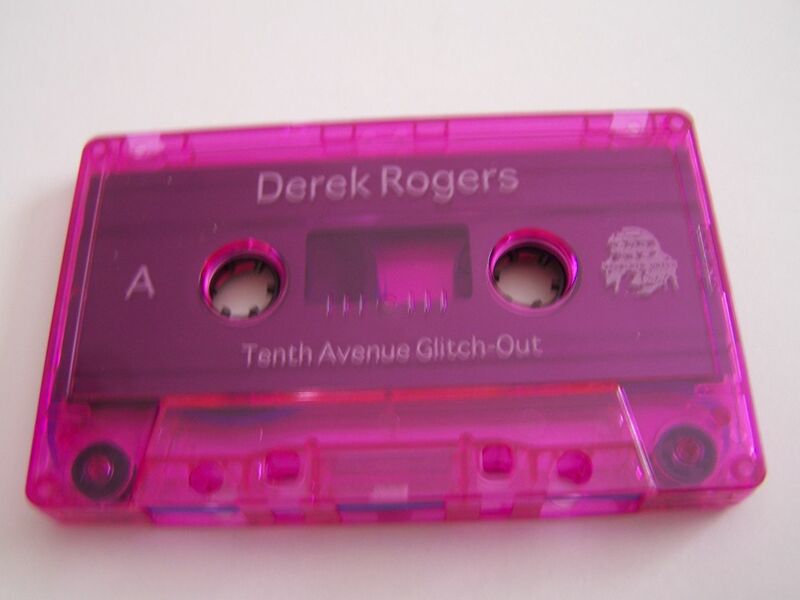 Derek Rogers begins things with a drum and cymbal type of glitch loop. There is a vibe between a gunslinger in the old west and Samurai swords slicing through the air, so my mind naturally wanders to the idea of a Samurai fighting cowboys and I'm already writing the movie script in my head. Of course, Quentin Tarantino would have to direct what is being called "Kill Django" right now. Waves of synth and guitar chord drone bliss change the pace as we then end with this crisp sort of static that begins to skip. What Rogers manages to accomplish here is something that others would have done, stopped and said, "Ooops, I messed up. Let's try that again". Only he doesn't make it sound like a mistake so much as every bit on purpose and in every way perfect. Sindre Bjerga, who I am trying to listen to all that I can of, begins his piece with slurps and beeps. I'm not sure what mechanism you would use to make this slurping sound or any sort of technical term for it otherwise but that's just how it sounds to me. There exists this sort of mouth percussion sound and then it goes into the ins and outs of buzzing from a bug zapper to a warm hum. It begins to loop with some slight static and as it grows slightly harsher it can sound almost like a hair dryer. I want to think of it as some kind of lighter industrial sound and there are grinding gears as well before it ultimately ends with this near/far type of synth sound. 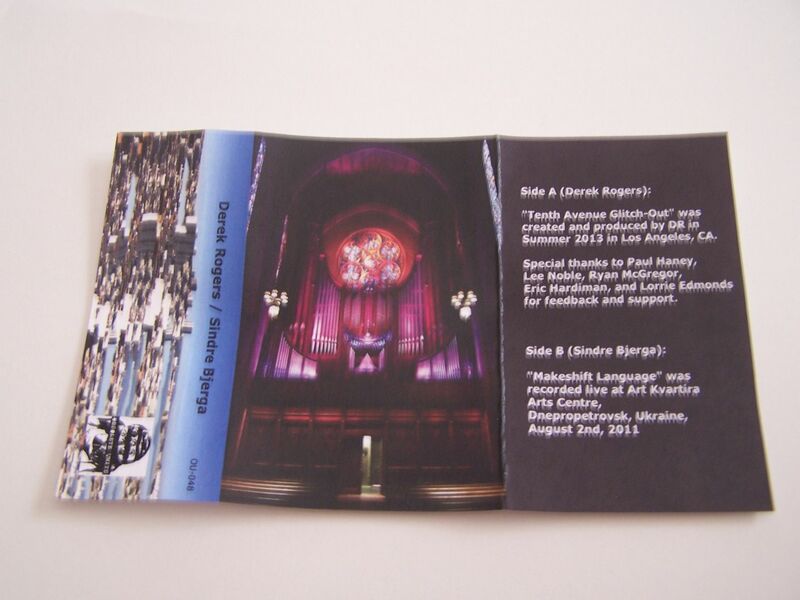 As artists, Derek Rogers and Sindre Bjerga are two of my favorites. This split cassette of theirs will take everything you expect from them, crush it up into a little ball and throw it back into your face. They are just so easily showing you why they are two names everyone should know while creating something the likes of which you have never heard before.